On July 1, 2015, UpTop was honored as one of Seattle Business Magazine’s 100 Best Companies to Work For. The annual survey is a state-wide benchmark that rates employers who consistently raise the bar on employee benefits, workplace environment, hiring and retention and more. Our dedication to employees who foster a need for innovation, creativity and technical expertise and therefore, are happy to pay for approved classes and certifications. Annual reward program through both individual and company performance. Great healthcare benefits, vacation, FSA accounts and 401(k) matching. Weekly, fresh food delivery for lunch or snacks, which also includes coffee, tea, beer-on-tap and wine. Monthly birthday celebrations with catered lunches. Mariner’s Suite and office-wide holiday party with plus ones. UpTop joined more than 1,000 other attendees and honorees at the Best Companies to Work For gala hosted at the Washington State Convention Center. KIRO news anchor and “Voice of the Seahawks” Steve Raible acted as the event’s Master of Ceremonies. 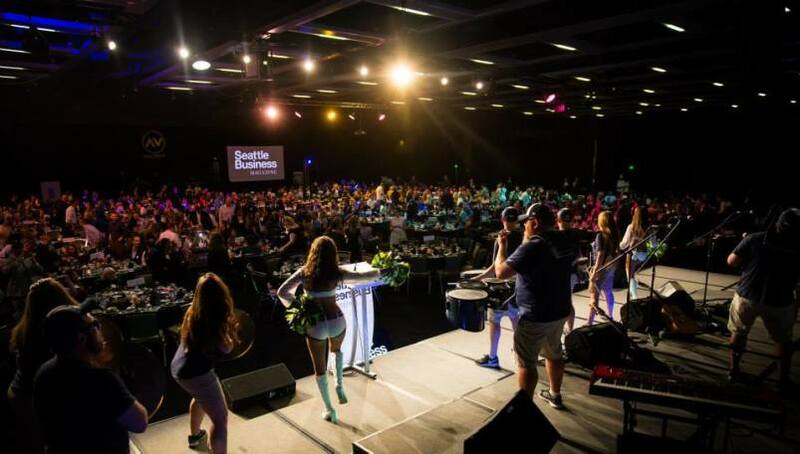 Guests were treated to surprise appearances by Blue Thunder and the Sea Gals, as well as a private performance by Seattle folk-pop band Ivan & Alyosha. 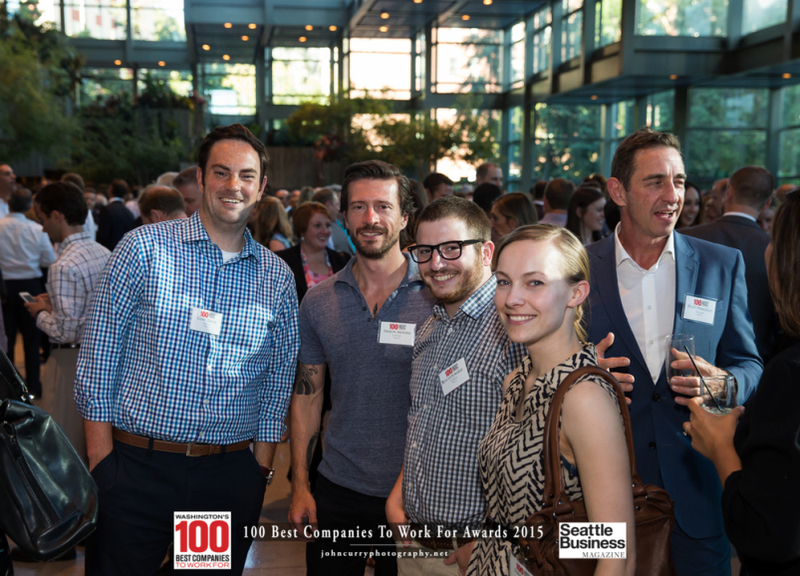 Each of the 100 Best Companies to Work For was recognized at the event and awards were presented to 14 of the top-ranked companies. UpTop landed in the #10 position for mid-sized companies. 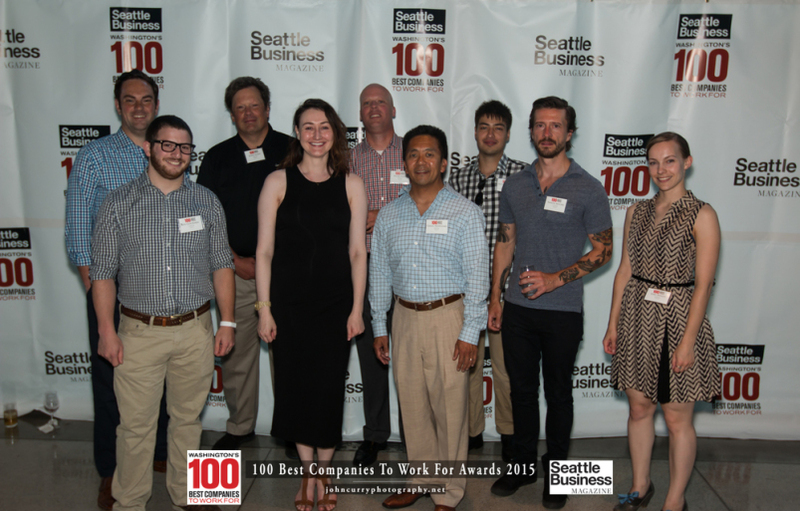 To pick the 100 Best Companies to Work For winners, Seattle Business Magazine partnered with Fieldwork Webwork to conduct extensive, confidential surveys that were completed by employees. These detailed responses were then used to determine each company’s score in 10 different categories, including communication, benefits, workplace environment, executive leadership and more. A big thank you to all UpTop employees for making this a great place to work! Congratulations to all!